In my previous post, I mentioned that I was getting ready for a trip to Baja. 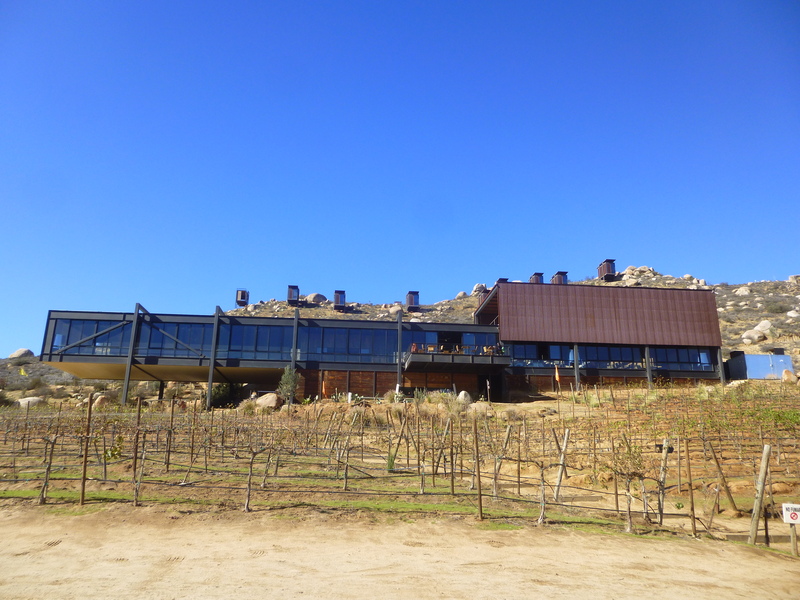 Well, I got to ride down to Valle de Guadalupe to visit Rancho Sordo Mudo. 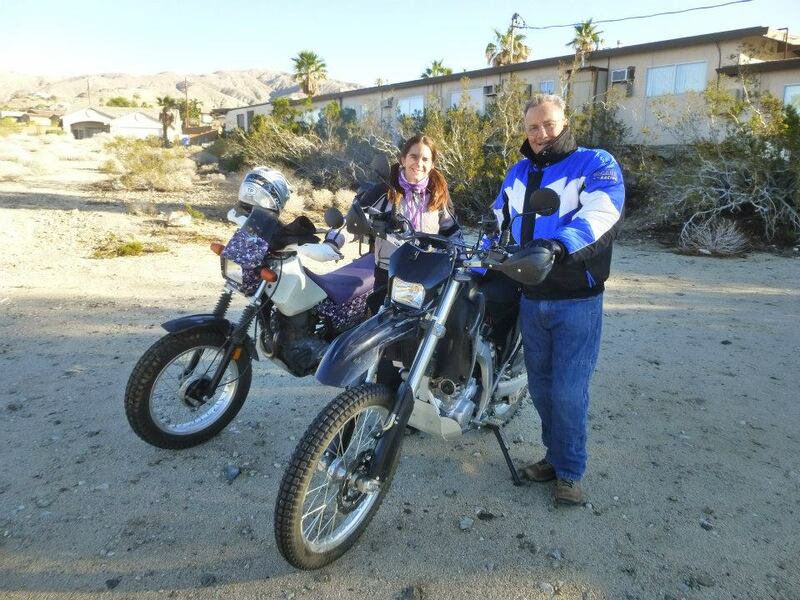 This trip came about after chatting with a fellow TW rider, Jeff, about my trip in May and mentioned that I might go to Baja for a couple of weeks between the Overland Expo and the memorial ride in Santa Margarita, CA. 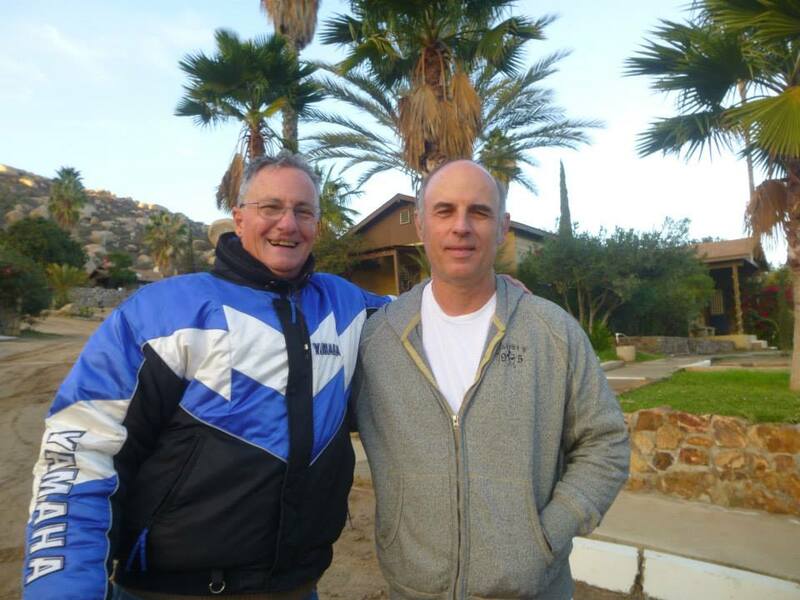 That is when he mentioned that he has a nephew that works at a deaf ranch in Baja. He wanted to go visit him soon and I offered to join him on the trip thinking that it could be my way of giving back during my journey. 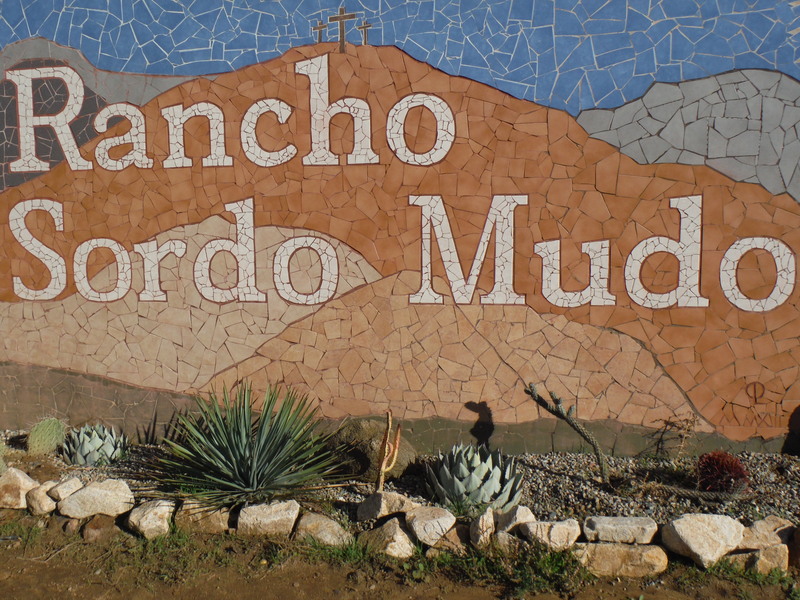 Rancho Sordo Mudo is a deaf ranch that provides a school for the poor and a home for homeless deaf children of Mexico. It was founded in 1969 by Ed and Margaret Everett. During a missionary trip to Mexico, they discovered that the poor and/or orphaned deaf children were not receiving any educational or spiritual support. They believed that without an education that deaf children will become beggars. With having raised a deaf child themselves, they knew that the deaf children have the capability to learn to read and write and master a trade. So, they decided to sell their neon manufacturing business in Fayetteville, NC and rented a house in Ensenada as a school for the deaf. However, they quickly outgrew that facility and purchased 500 acres in Guadalupe Valley which is about 30 minutes east of Ensenada. They were able to build a school, dining hall, large dormitory, show building and director’s and worker’s housing. All of the building has been done by volunteer groups. All of the deaf children receive food, clothing, education and medical care during their stay without any charge. Those who do have families go home for winter and summer breaks and others stay year around. Now that Ed and Margaret have passed, it is now being run by two of their children and their family. We left from Desert Hot Springs a couple of days later than planned due to weather. Since he is riding his WR250 and me on the TW200, we took the back road to border. Mainly, the Palm to Pines road then 74 through Julian to get to the Tecate and then to Guadalupe Valley which is about 46 miles south of the border. 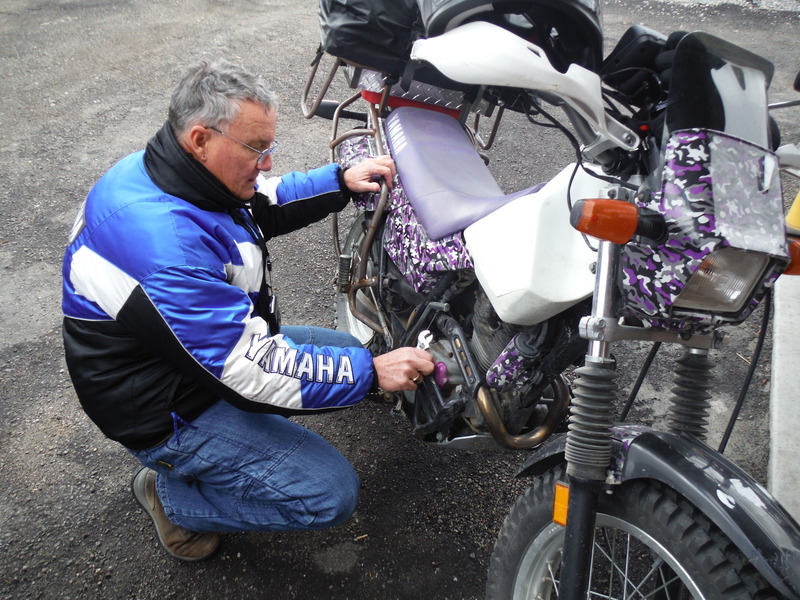 The trip was down was a little bit uneventful except when we stopped at Julian to fill up on gas, we discovered that I was missing a bolt on the oil cover. So we hunted down a hardware store and asked for a bolt which he found a perfect match on the first try. which is very different. Luckily for me, they only recently switched to MSL about five years ago so some of the older kids helped me translate. I started to get the hang of MSL by the end of the trip. Since it was right before the winter break, Mark had Friday off so he took us on a tour of Guadalupe Valley which is becoming the mecca for wineries. This area has over fifty wineries. One of them was right next to the ranch called Encuentro Guadalupe. They specialize in blended wines and we did some wine tasting. Well, they did since I’m more of a beer kind of girl. This winery has its own built in cave to hold the wine which we got a tour of. Also, it has 20 cabins that sit on the hillside that is very chic and unplugged from the world. Now that all of kids have gone home, it was also time for us venture on home too. We took the same route back and on the way back I had to stop in Oak Grove to find a sign that my late husband told me about. Luckily on a slow bike, I was able to notice the odd sign right away which I had to stop to take a picture of. 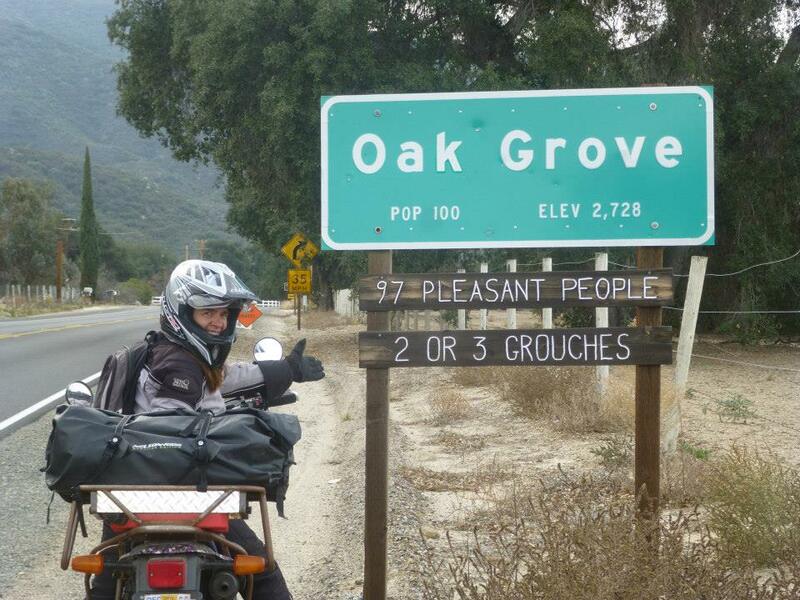 Only him would notice such a sign about grouches. This trip was a humbling experience for me to be immersed in the deaf culture that readily accepted me even though I didn’t know MSL. If I had visited a facility here in the US, I would have been met with cold shoulder because I can communicate orally. 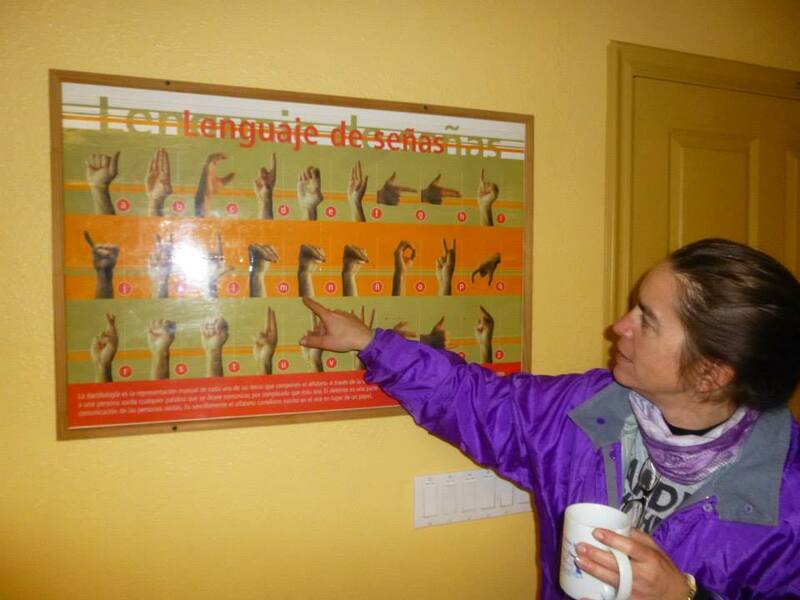 The deaf culture in the US firmly believe in only using ASL as the only mean of communication and frown on those who believe in “Total Communication” (use of oral and signed communication together). Therefore, I tend socialize in the hearing world more than the deaf world. While at the ranch, I realized that I missed being among those who are like me who can’t completely hear but willing to communicate one way or another. You are amazing – LOVED the post, & love you. Happy 2015!!!! Thank you Donna and Happy New Year! Great post…Happy happy 2015 Ginamarie!! Thank you Cherie and Happy New Year to you too! This post is amazing! Love the pictures, the details, the story. Thanks for sharing! It would be cool to learn MSL someday, or at the very least, to visit Mexico. Thank you Alison. Yes it was amazing to learn MSL and looking forward to learning some more.